As 2016 creeps closer, many people opt to put down the holiday desserts and pick up the pace on their personal goals for the new year. Did you know that about one third of all New Year’s resolutions are aimed at improving health and fitness? Use these ShareASale Merchants to motivate your readers (or yourself) to maintain resolution enthusiasm all year! 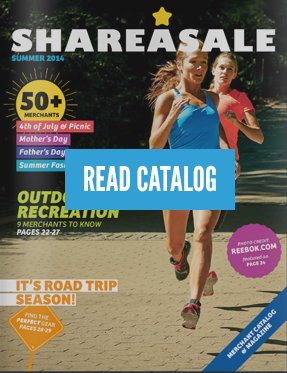 Each quarter ShareASale releases a new Merchant Catalog & Magazine featuring Merchants with relevant products for the upcoming season in addition to noteworthy articles and related content. Today we are happy to announce the release of the 2015 ShareASale Winter Catalog – our largest issue yet with over 150 pages! We all online shop, right? Well, how often do you find the perfect product for your upcoming post, but don’t want to have to search for the Affiliate link on ShareASale?